Commercial Water Damage Restoration, Fire Damage Restoration - Mobile & Baldwin County Alabama. 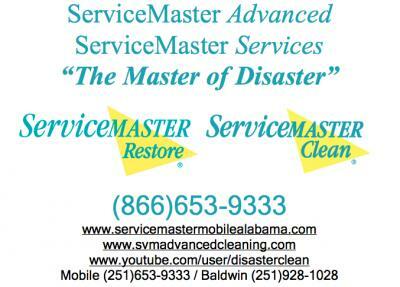 (251) 653-9333 in Mobile, Alabama and (251) 928-1028 in Baldwin County, AL are the numbers for ServiceMaster ADVANCED Cleaning & Restoration, The Master of Disaster. Very few providers have the capabilities to effectively handle large commercial water damage restoration projects or the ame in large or even fully affected small homes. We do. Please check out the many videos of our actual work at: http://www.servicemastermobilealabama.com/Videos.html, and our many helpful informational articles at: http://www.servicemastermobilealabama.com/Articles.html. We have served Baldwin County and Mobile County, Alabama for over 25 years, and many satisfied cleints. Make sure that if you have this type of issue that you tell your insurance agent or adjuster that you want ServiceMaster ADVANCED, enterprise number 7027, to handle your loss. 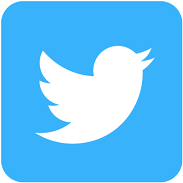 You will be glad you did and we will trate you in a manenr that is grateful for your business.